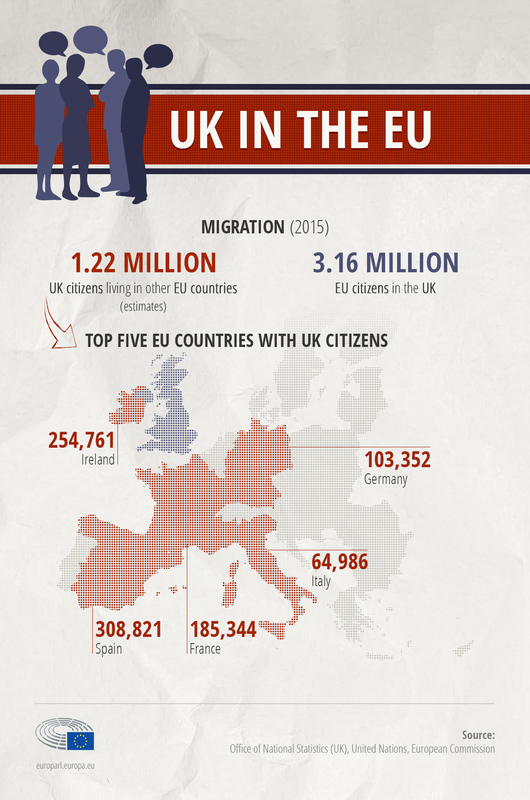 Although few of them were allowed to vote during the referendum, the millions of EU citizens living in the UK will be among those affected the most by Brexit. The European Union wants to reach a deal to protect their rights as soon as possible during the negotiations with the UK, which followed the country triggering Article 50. There is also the question of what will happen to British citizens living in the EU once the UK leaves in March 2019. In both cases, the negotiations will have to clarify if they can continue to stay where they live now and under which conditions. Will they be able to work, make use of social security, have family members come over to live with them? For more information about the issues at stake, check out our briefing. In the Parliament position adopted on 5 April, MEPs stressed the importance of securing equal and fair treatment for EU citizens living in the UK and British citizens living in the EU. The adopted position provides guidelines for the ongoing negotiations between the EU and the UK. Parliament plays a key role in deciding the outcome of these talks. Read more about its role here. On 4 September Parliament’s Brexit steering group published its comments on the EU-UK positions on citizens’ rights. Parliament President Antonio Tajani also brought up the issue with UK Prime Minister Theresa May during a visit to London on 20 April: “The students, workers and families are valuable members of society and deserve some certainty regarding their future." The situation and rights of EU citizens were discussed during a hearing in the Parliament on 14 May, which was organised by the civil liberties, employment and petition committees. Members discussed with experts the issues facing EU citizens in the UK and the best ways to protect their rights. Watch the video of the hearing here.